A serious problem with your teeth or gums that requires immediate dental care constitutes a dental emergency. Dental emergencies should not be ignored, as they are potentially serious and carry a significant risk of permanent damage. In addition to being excruciating, the cost of treatment can significantly rise if ignored. 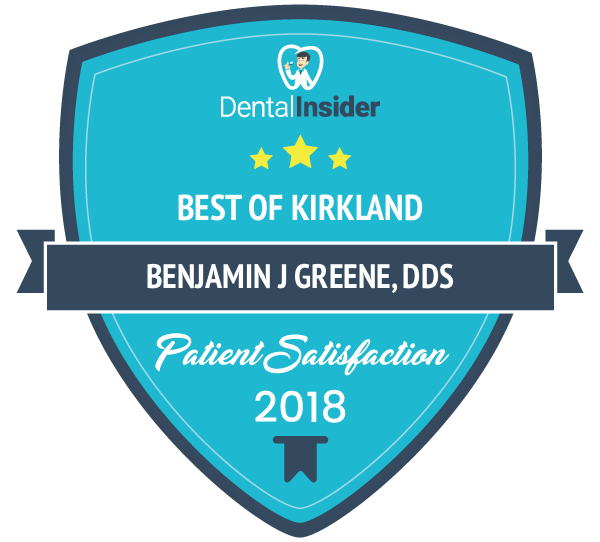 A lot of patients at Kirkland Family Dentistry have gone through undue suffering and pain while experiencing and severe dental problems due to a lack of immediate care during such emergencies. ‘Alive nerve’ in the tooth root: In this type of a toothache, teeth become sensitive to hot and cold food as well as drinks due to soreness and inflammation of the nerve in the tooth’s root. ‘Dead nerve’ in the tooth root: This type of pain is more severe and can form an abscess at the end of the tooth’s root. If left untreated, an abscessed tooth can lead to serious dental problems. Additionally, the buildup of tartar and plaque causes tooth decay and gum disease which are a common cause of toothaches. Good oral hygiene and regular dental checkups help to prevent pain and maintain good oral health. A knocked out tooth can be saved and re-inserted by a dentist if the appropriate emergency steps are taken. Pick up the knocked tooth from the top and do not touch the root area. Rinse it very gently and do not scrub or remove any tissue attached to the tooth. If possible, try to place it back into the socket gently without forcing. These teeth can also be kept safely in a cup of milk until your trip to the dentist. 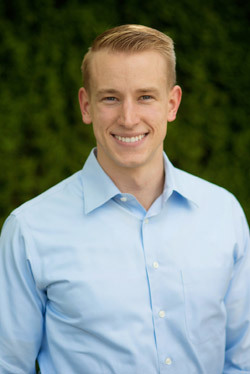 Knocked out teeth warrant immediate dental attention and the above steps are critical to protecting the tooth; the longer it takes to re-implant the tooth, the lower the chances of successful re-implantation. Sometimes, the impact of biting a hard substance like bones can crack your teeth. Almost all broken teeth can be saved if immediate attention is given. In some cases, if the damage is serious, a root canal will be required. Small cracks can be fixed by a white filling. An abscessed tooth is a serious and painful infection that can spread to other parts of the body if not treated properly. An abscess develops in the root of a tooth or in between the gum and teeth and causes a pimple-like painful swelling in the gums. To find immediate relief from pain, rinse your mouth with mild salt water and visit the dentist as soon as possible. Dental emergencies can happen to anyone at any time and the best course of action is to remain calm and seek immediate dental care. 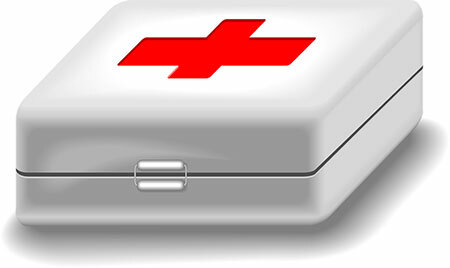 There are also dental first aid kits available for immediate relief, which can really come in handy. All in all, practice good hygiene, make regular visits to your dentist, and never take any of the above dental emergencies lightly; seek the help of a professional at the first possible opportunity.